Gradara one of the medieval villages of Italy is situated along the border of Le Marche and Emilia Romagna. It is a famous destination for day trippers and provides some of most amazing historical attractions, comprising of the imposing fortress which is considered to be one of the best preserved monuments. One can catch incredible glimpses of this village which has a castle placed on the hill overlooking the waters of the Adriatic Sea. Towards the opposite end one can see olive groves as well as farms with fields and vineyards which are eye catching. The entire village arouses a feeling of serenity and tranquillity with rows of cypress trees and farm cottages that are gracefully lined all along the hillside. In 1150 during the Middle Ages, the nobles Pietro and Ridolfo De Grifo had begun building the main part of the caste and over the years the ownership of this land had been transferred to the Malatesta family. This medieval village has a natural beauty in the midst of pristine surroundings. Castello Malatestiano should not be missed and the best attractions are the glimpses of the history with plenty of fascinating facts. Besides this one can visit the historical museum and the Olive Trees Garden, the Church of Saint Giovanni which has the lovely wooden crucifix. People who intend on recalling some of the stories of the past could visit the amazing destination where the internal rooms of the castle reminds you of the powerful families who had ruled there in the past. The beautiful castle was constructed around the 11th century by Pietro and Ridolfo De Grifo. One can view the brilliance of the architecture design of the castle and its intricate details comprising of the three polygonal tower blankets. Besides this, one can also see the double wall as well as the drawbridges which tend to define the majestic fortress. 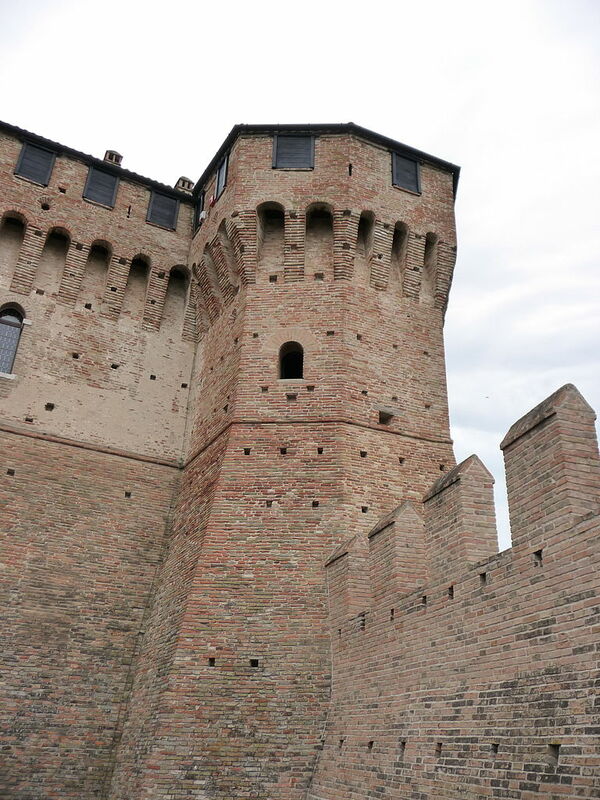 The fortress of Gradara together with its town signifies the best preserved medieval structures in Italy with the two surrounding walls protecting the fortress and makes it one of the most fascinating destinations. Around 1150, it is said that the donjon had been constructed by the De Griffo family. However, it was the Malatesta family who had built the fortress together with the two surrounding walls between the 13th and the 14th centuries which gave Gradaraits current appearance. Gradara is also said to be one of the prime art centres that had a theatre in 1289 which recounts one of the heart wrenching stories of the ill-fated love between Paola Malatesta and Francesca Polenta. Besides this, one can also go on a tour of the Granada castle which will take you on a historic journey from the heart of the village to some of the historical attractions of the amazing location. One can also get the opportunity of seeing some of the best paintings and attractive architecture of the interior design and furnishing that were used there in those times. The town has been distinguished for its outstanding reliability and density of the ancient living centre. The management of the road system in the historic centre provides enjoyment and visiting by foot with a great experience while exploring the attractive sites of this amazing destination.